Discussion in 'Project Logs' started by Flexplays, 9 Jan 2019.
the time has come to present you my newest project. 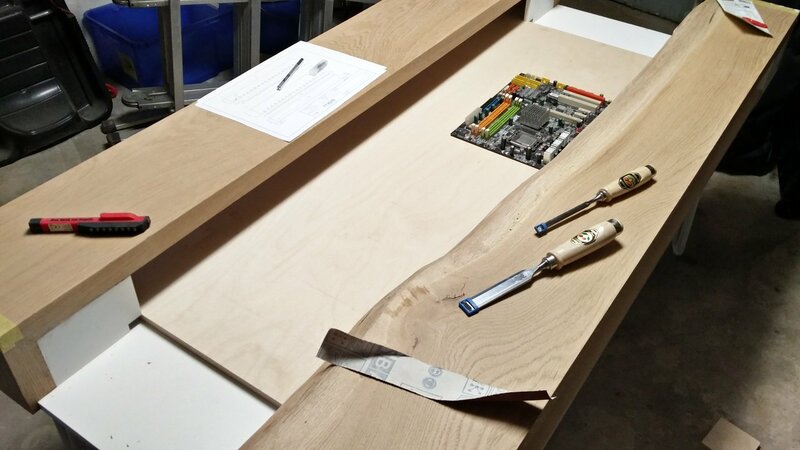 This time I'm going to build a computer desk. 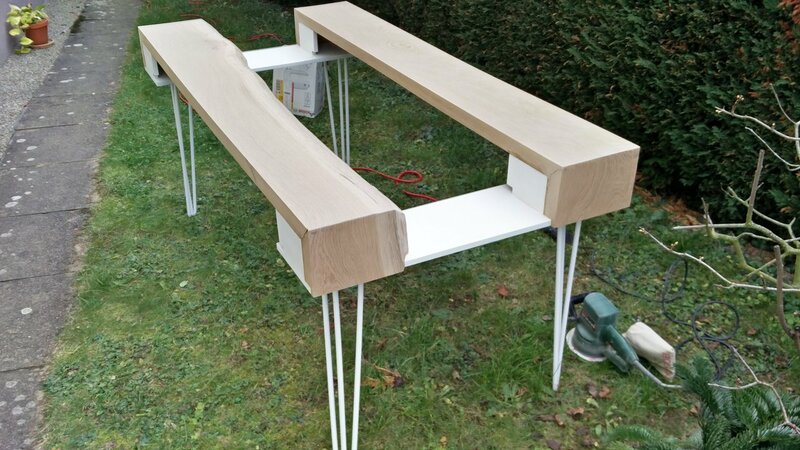 The design of the desk is inspired by the furniture design of the 50's . 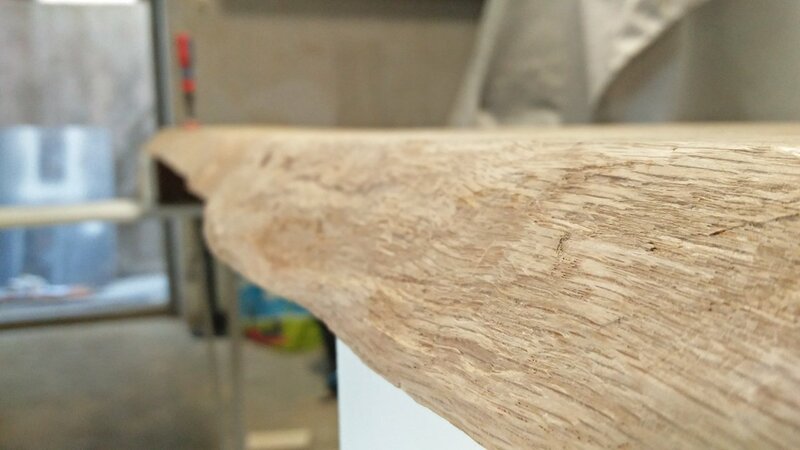 Therefore I already built a frame out of a masive oak plank. I already built some cases , keyboards etc. before, so this isn't my first project . I started in 2014 as a bloody beginner with a simple keyboard mod. After that, I built two case cons (two case con projects were started before, but they were awful, so I didn't finished them). 2017 I even managed to participate at a 24h live mod challenge at gamescom in Cologne. And for short, now here I am . The white fans will fit perfectly to my white and wooden theme, thanks for that . I'm already exited to mount them into the system . 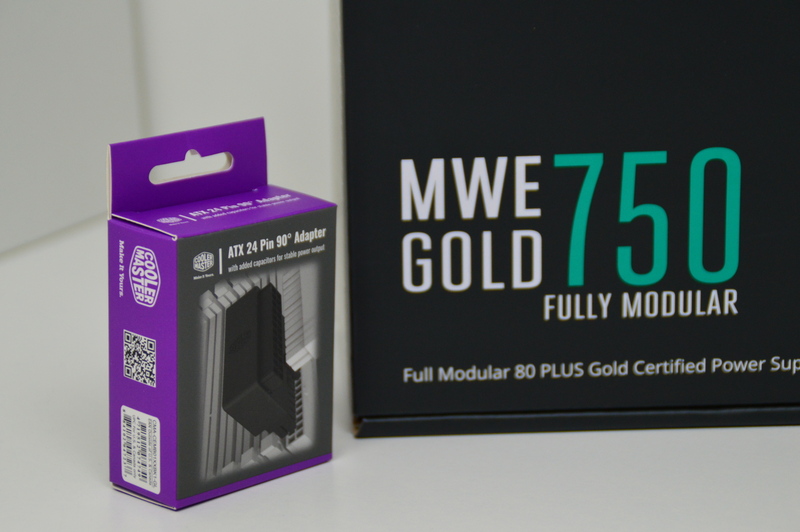 This package contained a handy 90° adapter for the motherboard 24 pin connector and a MWE Gold 750W powersupply. After that, the frame was done . 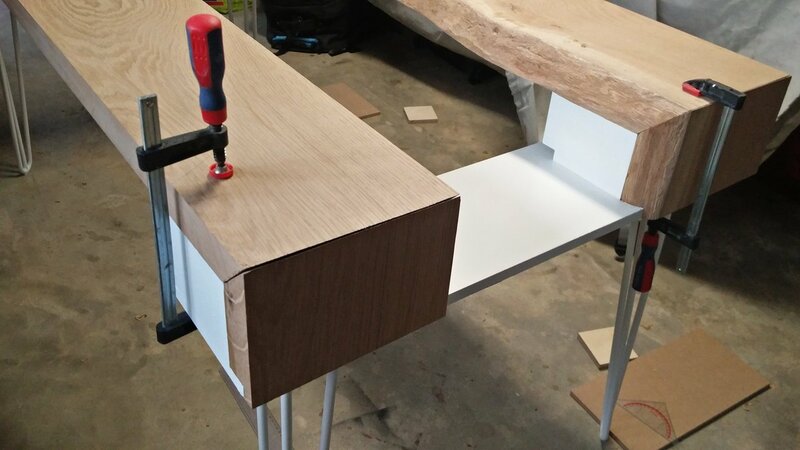 As soon, as the frame was back in my workshop, I prefitted the drawer. 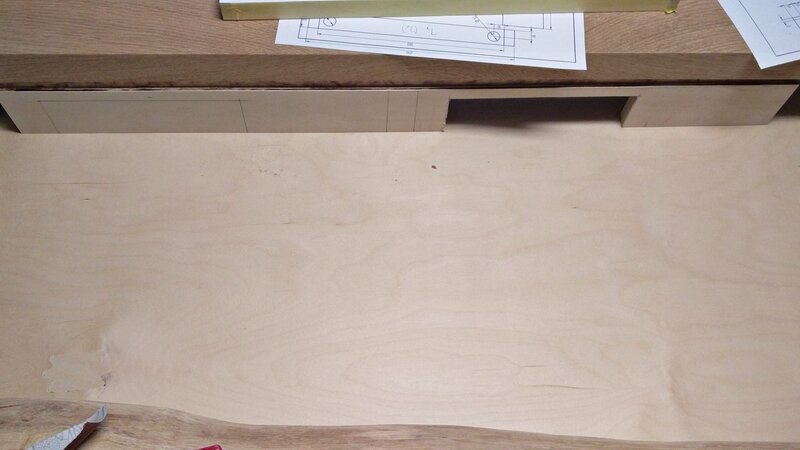 Sadly, the drawer is about 10mm too narrow. That isn't a big issue, because the plank could now contract or expand over 20mm, nice . To show where the mainboard is going to be mounted, I put it at the correct position. Then I started to build the first separation between the main area and the front area, which is going to be located under the fore plank. This is the area, where cables, drain ports and so on are going to be mounted. 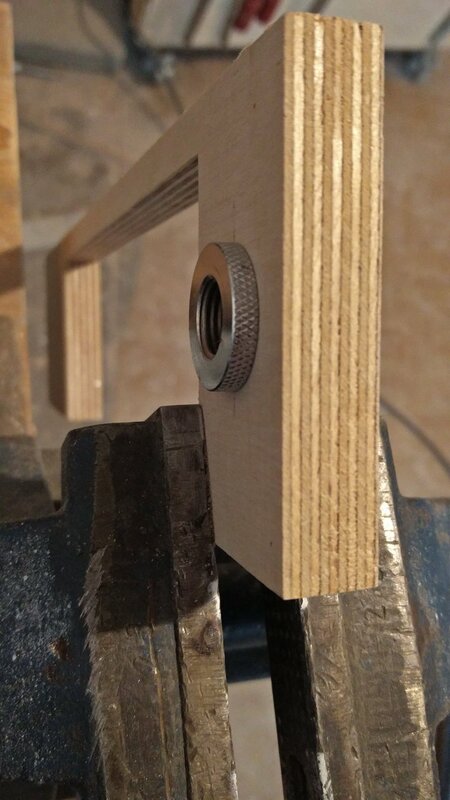 In order to lighten the hardware, I sawed a notch in the separation. This was made out of plywood. 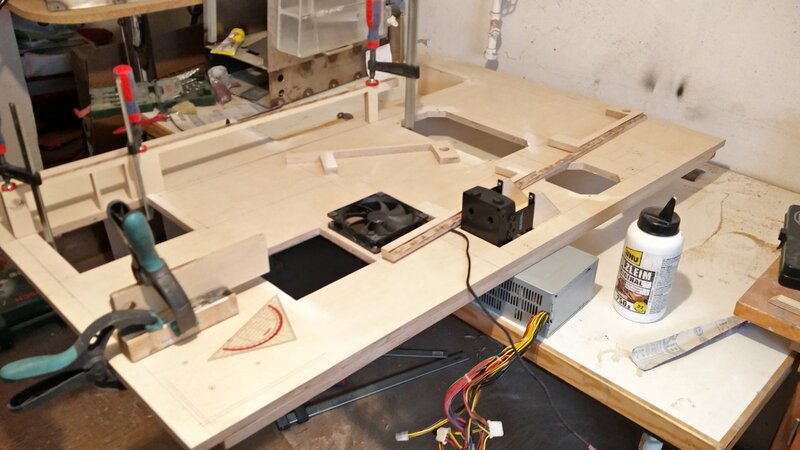 In front of the plywood I'm going to mount a white plexiglass panel, to hide the LED strip. Thanks to that, I only have to rough out the cable holes. In this picture I roughly placed the PSU. After that was done, I stared to build two custom reservoirs. 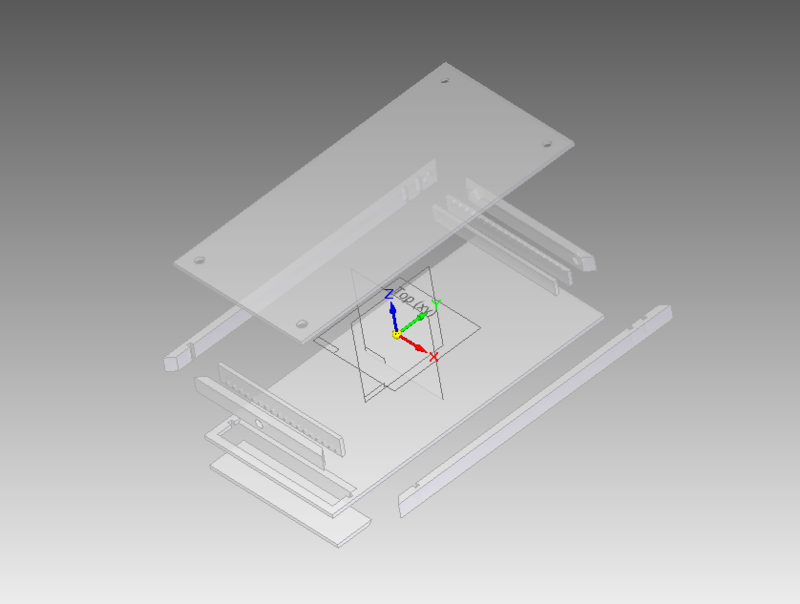 Initially, I wanted to saw the edge of the 10mm plexiglass on mitre, but that didn't work out as I expected. I decided to saw the edge without a mitre. I started to work on the 10mm thick plexiglass strips. After everything was sawed, I stared to sand the strips. 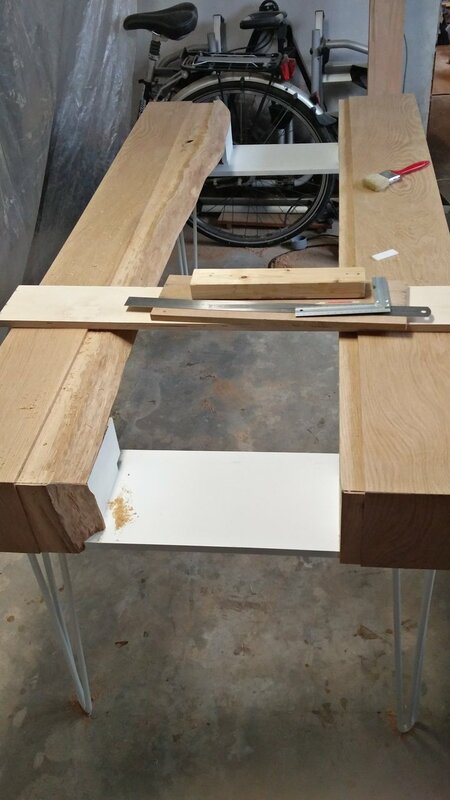 Therfore I clamped the strips together. That technique takes a lot of effort and time. Even after one hour of sanding some parts still needed some work to get plane. There are definitely more fun activities . Looks promising. That setup would look good on 2 massive oak legs. Hand sanding: Looks like you only just started there. 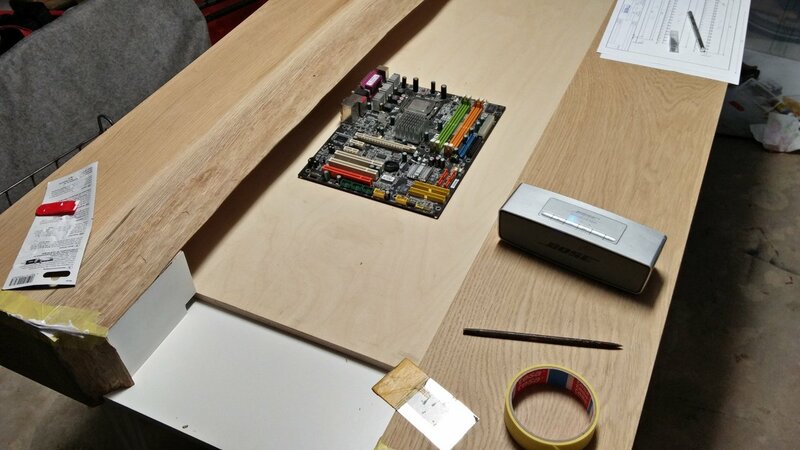 I'd cut a hole in the plywood and mount a grill underneath so you could hide the PSU under the oak. It would also get fresh outside air like that. Thanks for the reply. I think massive oak legs would be too much, in my opinion the hairpin legs make a decent look. Ive sanded alot of plex in my time and that's just nuts... get a cheap trimmer for 20 bux and route them all exact. 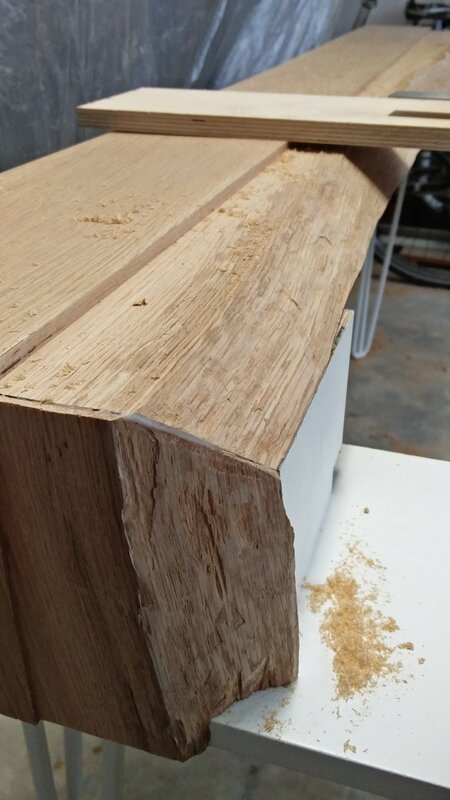 Sanding like that will never give you a square edge. I agree the legs are period perfect .... but they look like wobble town and will need extra X bracing. Yeah, you are right, sandling like that isn't ideal, trimming it would be nice. I imagine, that without a stop, it wouldn't get straight, so a constuction to get those narrow parts perfectly straight is neccessary. Do you have an idea how to build something like that? 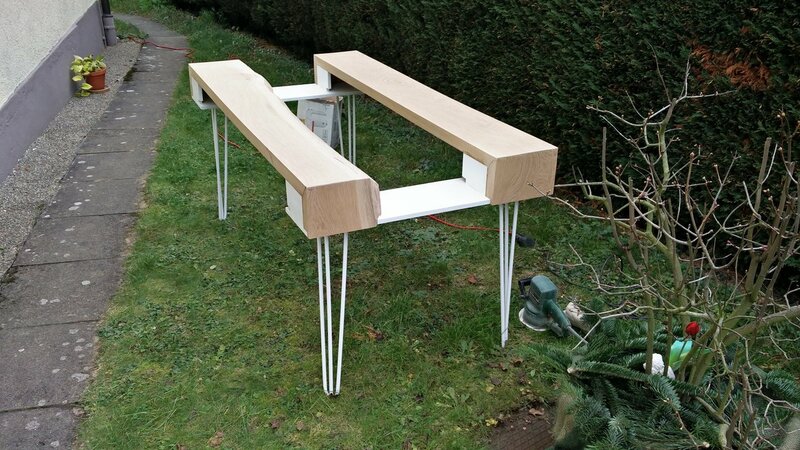 The legs are quite solid, they get mounted by 4 screws on each leg. Atm they are only mounted with 2 screws. I think with 4 it's solid enough. How would you improve the stability with x bracing? The long side isn't the best side to do that . 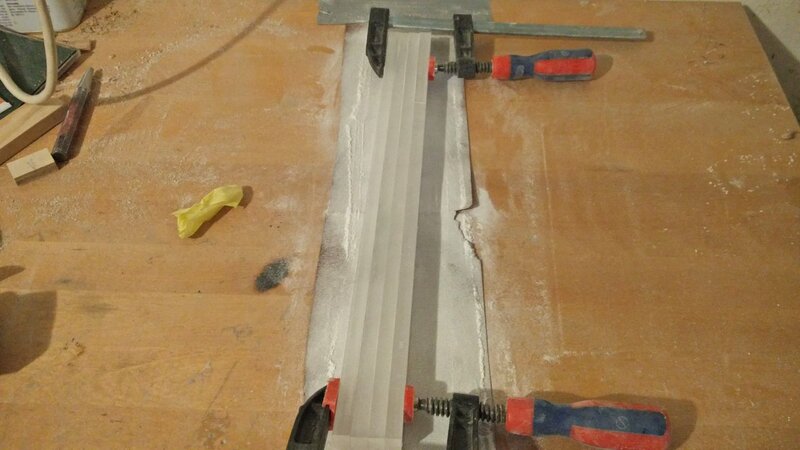 For sanding plexi square, I always used aluminum angle screwed to a board that had sandpaper on it. It's a slow process, but it works. I've found I'm allergic to oak and cedar, but I'd still use it over MDF. The only way i could see to brace them would be to weld "X" bars of the same thickness metal and repaint. But that would spoil the clean look they give. It's time for a small update . 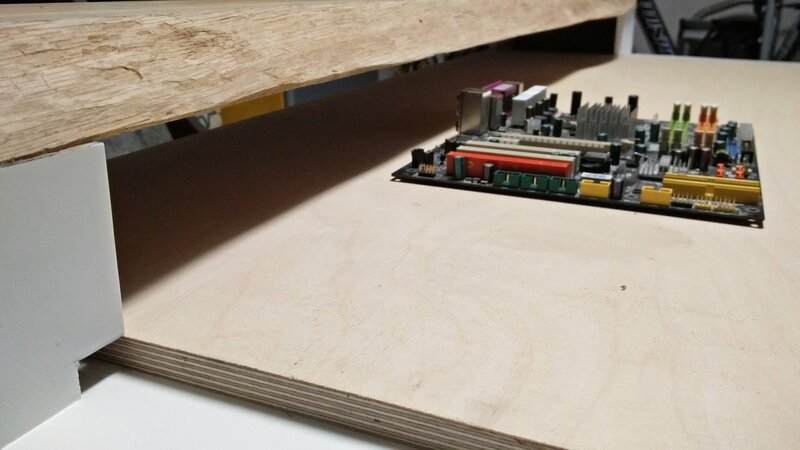 The last days I roughly finished the partitions, which are going to be mounted between the hardware and the planks. The long cutout you could see on the left is made for the motherboard and the left reservoir. The smaller one on the right is for the GPU. I layed the part in inverted, so the small cutout is actually on the left. I still have to build the mouning for the GPU bracket there. 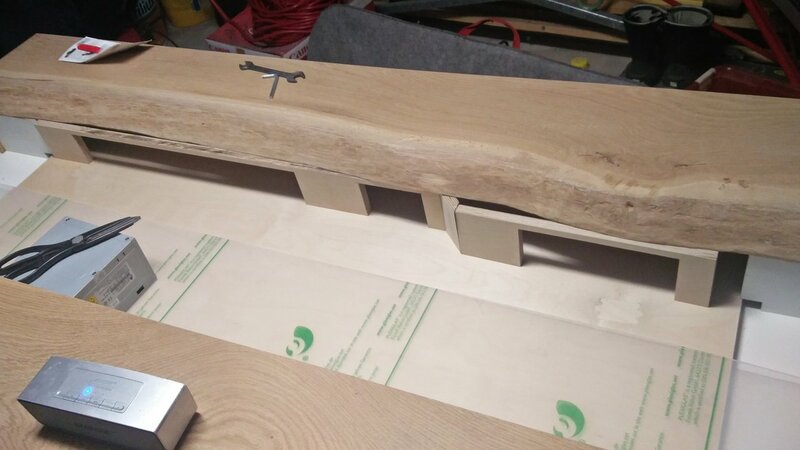 I also started to rough out the last parts for the desk . There are still some minor parts missing, but it's not that much to do . 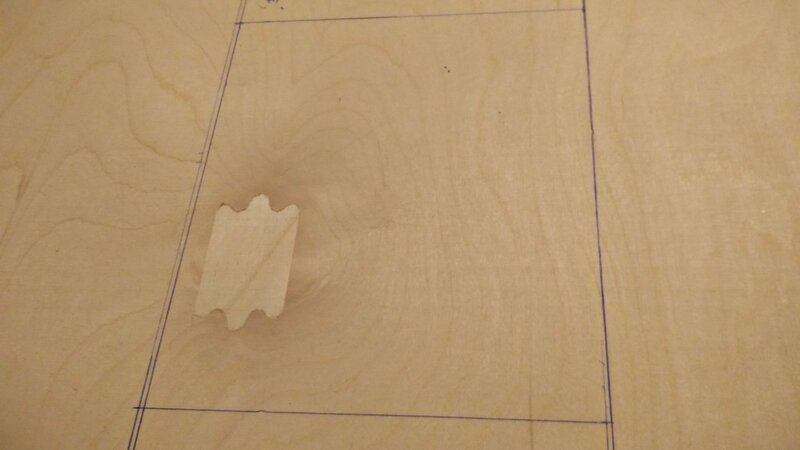 After that I planed the sheet to the exact size, the part was 2mm too long. With my trusty planer that wasn't really an issue. After I pre-fitted the partitions, I prepared everything to glue the parts together. 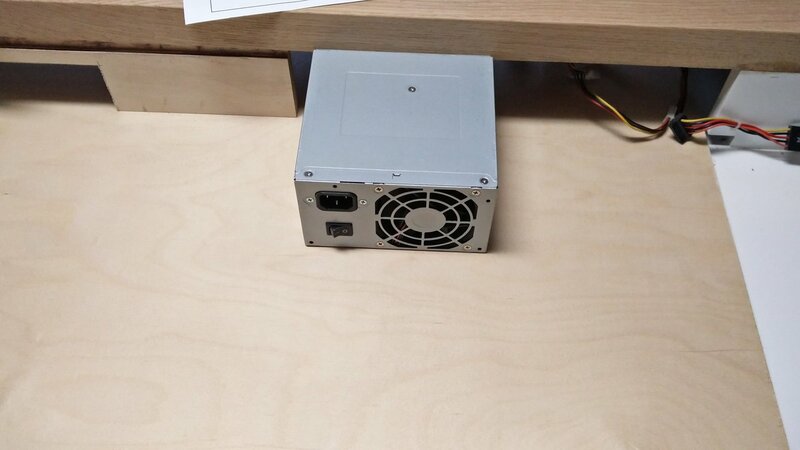 Here you could see the port for the cooling loop that connects the hardware through the partition to the radiator. After that I glued in the radiator mount. I had to do that in advance, because I needed to fill some quite large gaps with putty. 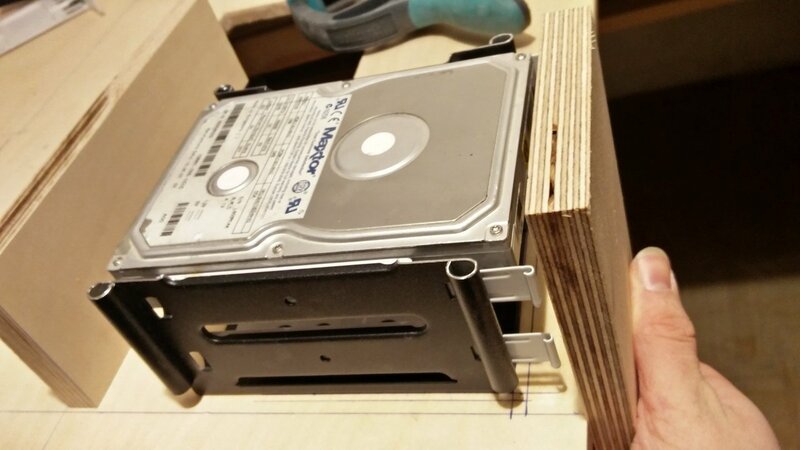 In the meantime I worked on the HDD mountings. I used an old 3,5" cage for that, which was flying around for some time . I flexed the cage in half, so that it could fit under the wooden plank. 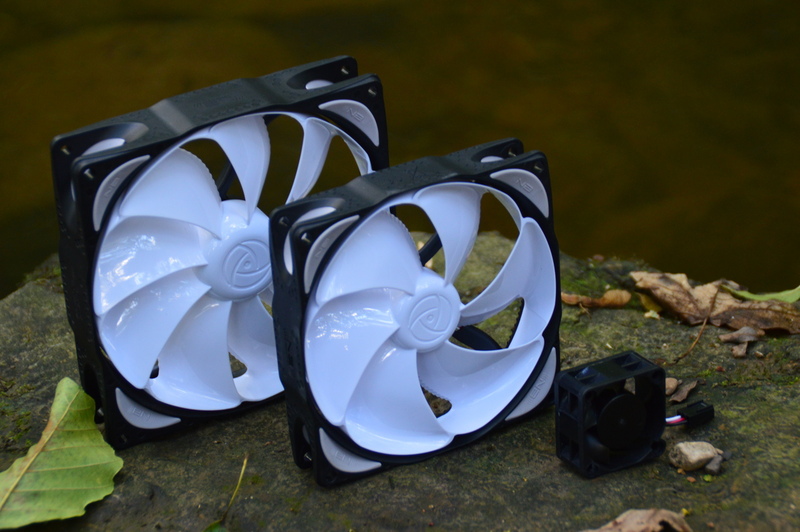 And then I could finally work on the recesses for the fans, PSU, Pump and so on. There are definitely more enjoyable tasks then that, but I had to do it . In addition to that I countersunk (I hope thats the right wod for that ) the mounting for the PSU and the shroud for the risercard. After that was done, I started to glue the partitions onto the main plate. When everything was dry, I fitted in the heights so that erverything fits under the oak plank. 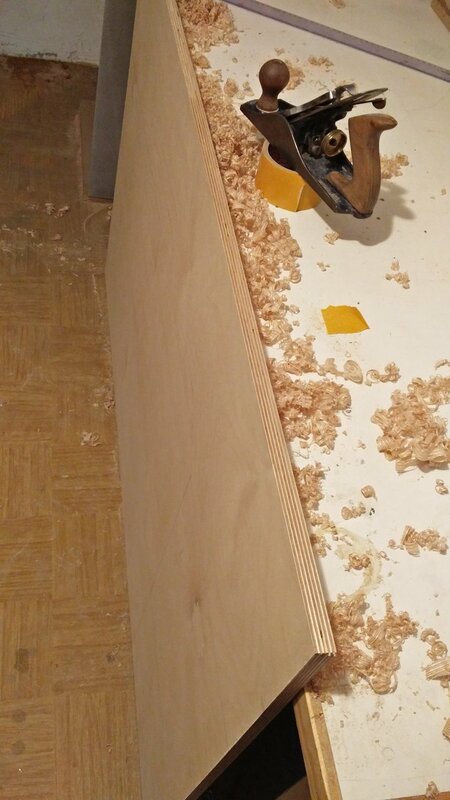 The plank is a little bit concave, so I had to plane away quite a lot of wood in the center. While doing that, a glued area had broken off three times. Actually the spot was glued quite well to the main plate, so I don't know, why it did that. However thanks to that, I couldn't laquer the wood as fast, as I wanted to. So the project wasn't finished in time . Well, at least I could finish the project properly now. At least I got some help by Capten . He helped me out to route the recess for the glass sheet, thanks . 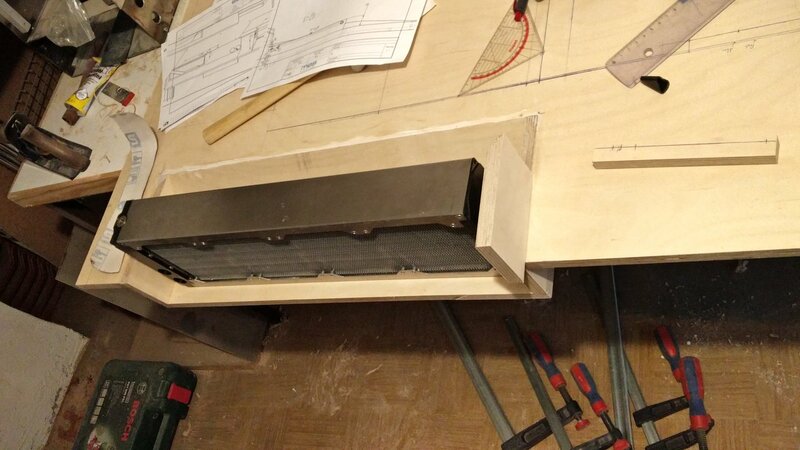 The reservoirs didn't got missed out, we routed the parts to o the exact height so that a perfect is possible . More to that in the next update .